As the giant OMEGA Countdown Clock in Vancouver approaches the minus one year point in its steady march toward the Opening Ceremony on the 12th of February, 2010, OMEGA’s professionals are actively involved in preparations for the competition where, for the 24th time, the Swiss specialists will serve as Official Timekeepers at the Olympic Games. On the 12th of March, they will play the same role at the Paralympic Games. Seventy years later in Turin, OMEGA deployed 208 professionals – 127 timekeepers and 81 data handlers – armed with 220 tons of equipment. 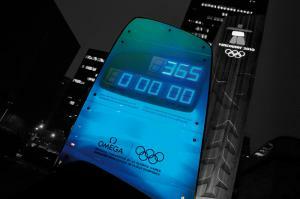 Those numbers will be exceeded at the Vancouver 2010 Olympic Winter Games as OMEGA mobilizes the largest timekeeping contingent in the history of winter sport. 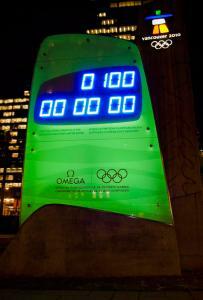 OMEGA began its Olympic Games timekeeping tradition at the Los Angeles 1932 Olympic Games. 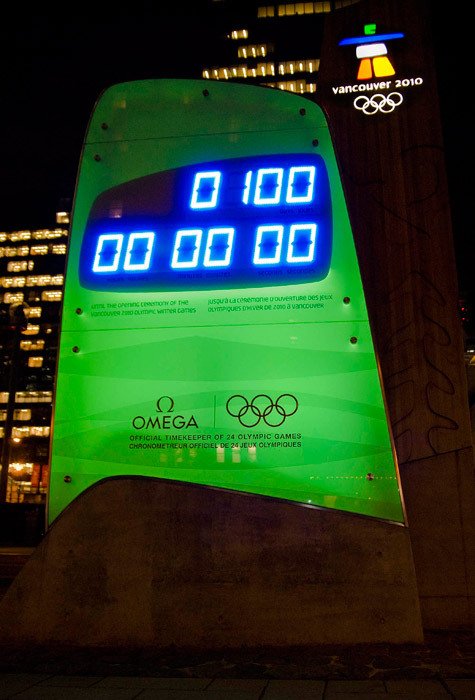 In addition to its prominent Olympic Games role, OMEGA has been behind many of the most important technological developments in all of sports timekeeping. The Games in Vancouver will take place over a 17-day period beginning on the 12th of February. More than 5,500 Olympic Winter Games athletes and officials from more than 80 countries will make it the largest Olympic Winter Games ever. The Paralympic Winter Games, for which OMEGA is also Official Timekeeper, start on the 12th of March and will continue for ten days. The Games’ organizers anticipate that the Vancouver 2010 Paralympic Winter Games will attract 1,350 athletes and officials from more than forty countries. As the cities of Vancouver and Whistler prepare for the Games, there is a lot of attention being paid to the philosophy of economic and environmental sustainability promoted by VANOC, the Vancouver Organizing Committee for the 2010 Olympic and Paralympic Winter Games. The Committee is doing its best to see that any changes made to the splendid local landscape will integrate smoothly into the community once the Games are over. While Beijing had such spectacular venues as the National “Bird’s Nest” Stadium and the “Water Cube”, VANOC is relying on providing facelifts to existing structures and to creating facilities which will serve the people of Vancouver and British Columbia long after the spectators and press have gone home. It can be argued that the natural splendour of British Columbia and the breathtaking beauty of Vancouver and Whistler would not be enhanced with the addition of large new purpose-built structures. Accordingly, existing buildings are being adapted to the needs of the Olympic Winter Games and new ones have only been considered when it was clear that they would improve the quality of life for local residents following the Games.